The Sustainability Committee facilitates professional development in the areas of social, environmental, technical and cultural advancement by meeting the clean water needs of the present generation without compromising the clean water needs of future generations. We have facilitated a sustainability track of presentations at the Annual Conference, organized a specialty conference or pre-conference workshop at the Annual Conference to provide exposure to new sustainability topics, and submitted articles concerning sustainability in the PNCWA Newsletter. We meet on a quarterly basis to conduct committee business. 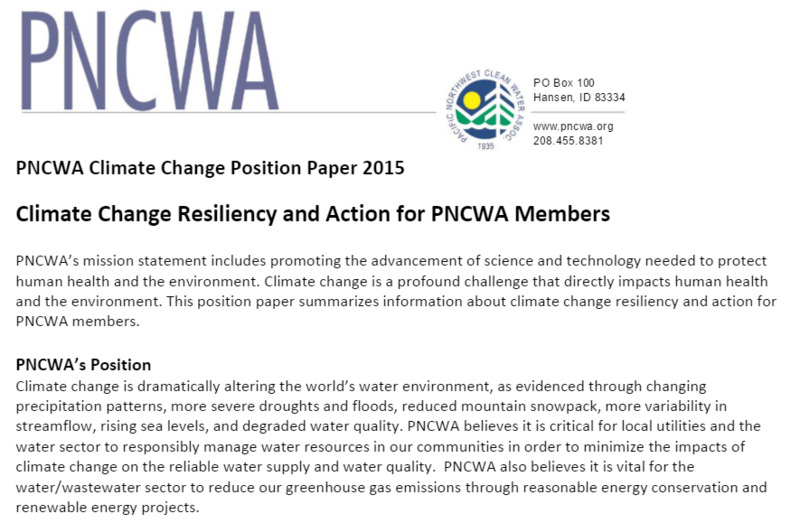 In 2015, the PNCWA Sustainability Committee, led by chair Cyndy Bratz (TetraTech), produced a position paper on Climate Change Resiliency and Action for PNCWA Members. As the paper notes, climate change is resulting in conditions that will adversely impact human health and the environment – those very things that PNCWA exists to protect. To provide useful information on which PNCWA members can act, the position paper first summarizes the scientific consensus on climate change and details climate change impacts in the Pacific Northwest. Next, the paper notes two categories of action PNCWA members can take to help build a new framework to inform decision-making and actions. The paper concludes with eight recommendations to encourage members to put these actions into motion. Climate change may provide a daunting challenge, but many hands make light work. 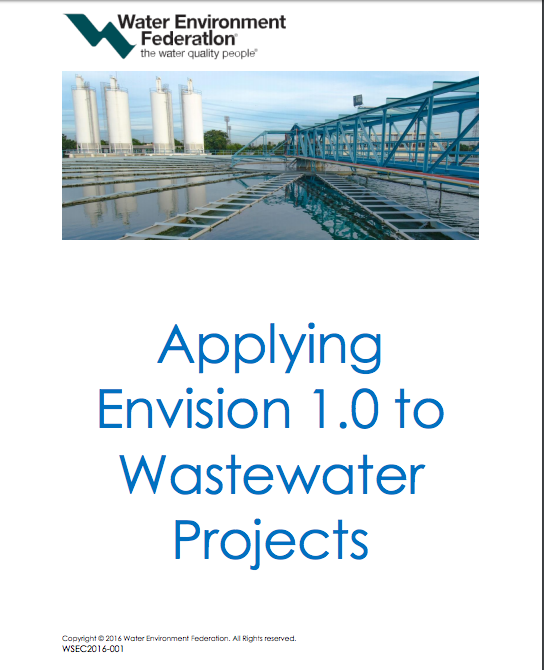 Read the full position paper.